GACKT (??? ?-?, Kamui Gakuto, born July 4, 1973, Okinawa, Japan) is a singer-songwriter, musician, actor and author, famous in Japan. Since the launch of his solo career, he has gained an even greater fandom and notoriety than he had while working as the vocalist of the iconic visual kei band MALICE MIZER, and has been extremely successful. He is one of the most successful and recognized male soloist artists in Japanese history, and holds the record for most top 10 chart singles. He is considered the best male live performer in Japan, and his concerts are always highly expected. Besides being a musician, he is also an film actor, and novel author. Gackt's musical education began at age three, when was initiated by parents to master the piano. In childhood he was also familiar with brass instruments, and after mastered electric guitar and drums. 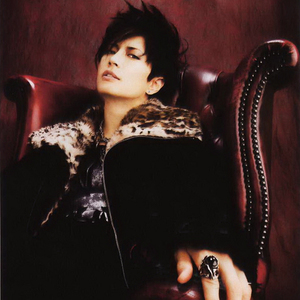 Gackt's musical career began in 1994 as the drummer, and eventually the singer of the independent band CAINS:FEEL, he formed with his friend You. His career began to truly blossom when he joined the visual kei rock band Malice Mizer in 1995. He made his first recordings in 1999, after left the group and began a solo career, signed to the reputated record label Nippon Crown. He was immediately recognized, and with a big following his recordings regularly charted high on the Oricon (Japanese Billboards) charts. Despite his notoriety, only one single managed to top the charts, Returner ~Yami no Sh?en~ (2007), reputated for incorporating the Japanese traditional instruments with rock music, and the wonderful music video. On June 29, 2007, performed (as the singer and pianist) with S.K.I.N., a group who also consists of other famous Japanese rock musicians; X Japan co-founder Yoshiki, Luna Sea guitarist Sugizo, and Miyavi, at the Anime Expo convention in Long Beach, California. In 2013 will go on a new national tour after four years, named Best of the Best Vol. 1., where will perform his best songs up to date.